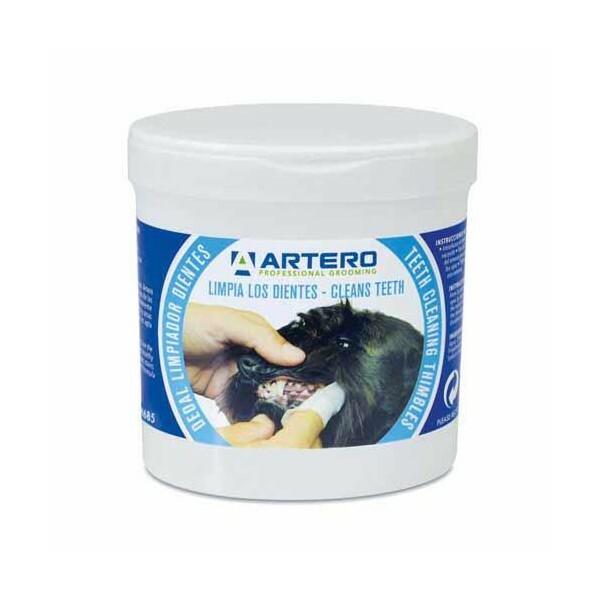 Cleaning teeth thimbles for dogs and cats. 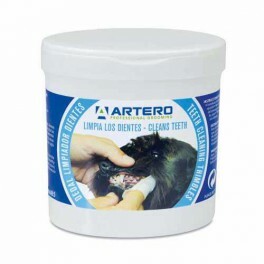 The dedelas for teeth Artero is the fastest and most hygienic way to keep teeth clean and healthy pets. They are specially formulated to correct bad breath and tartar recudir plate. With clean hands catch a thimble and put it on his finger. Rub teeth in a circular form.